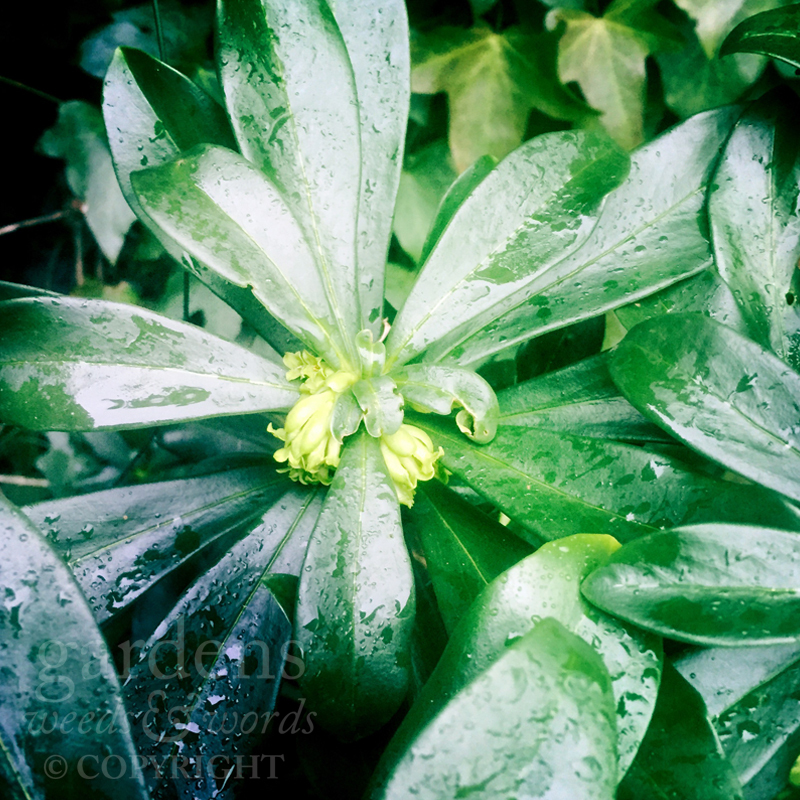 The second of our daphnes this week, spurge laurel Daphne laureola is notable for being neither spurge (the Euphorbia genus) nor laurel (certain evergreen members of Prunus). Which just goes to show what fun you can have with common names. No-one really ever remembers planting this, with its rather handsome, deep evergreen foliage and small lime green flowers – it just insinuates itself into your garden, usually in a dry and shady spot, and waits till you notice it (in the UK it’s well behaved, though in the US and Canada it romps through woodland in a manner most uncouth). At which point, to pull it out or leave it be really depends on how much you like it.